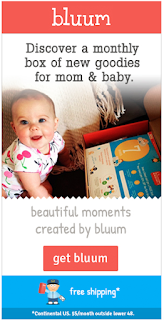 MamaBreak: Say Hello to Bluum! Hello Mamas! As many of you know we . . . I mean the kids . . . we HUGE fans of Citrus Lane. It was such an exciting box to receive each month. Unfortunately, Citrus Lane closed their doors and no longer offer fantastic boxes. So we have been looking . . . and looking . . .
for a FABULOUS box to arrive each month to delight our kids. We have talked to many, many readers and they overwhelmingly recommended . . . Bluum! If you tried Bluum before, this is a very different brand and different box than they were 2 years ago when we last wrote about them. And here at MamaBreak, we think every company can improve-- and have they ever. With better subscription boxes, more choices, more variety, and more fun tools on their website. 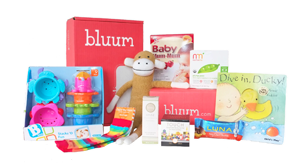 Bluum surprise boxes (where bluum chooses the products for you) are curated by our own matching software that ensures your preferred product categories are met, as well as your munchkin's milestones. In addition, it ensure a high curation quality by ensuring a retail value higher than the monthly subscription fee, a diverse product mix and only sending products that match your child's age, gender and developmental stage. The age range begins with our pregnancy line where products are covering the life of a soon-to-be mom and a few items for the growing child. The baby line covers monthly boxes from newborn to 12 months. Toddlers range from 13 to 36 months and are followed by pre-K and pre-school boxes for children all the way up to 5 years and beyond. Once signed up, parents can choose between a monthly surprise box (bluum surprise) or choose the products themselves (bluum choice). And with plans that start at just $25 a month, what's not to love? Just head to: http://www.bluum.com to see all of the fantastic options! We cannot wait to bring you more Bluum reviews in the coming months! Because who doesn't love surprises . . . for the kids!